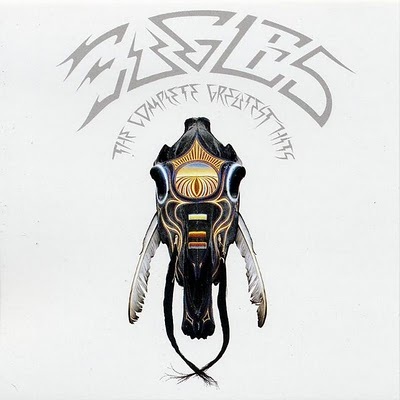 Time for a trivia question/math problem: How many studio songs did the Eagles release between 1971 and 1994? Answer: 65. Yep. That's it. Keep in mind that this includes their Christmas single, and also the four cuts from Hell Freezes Over. So if this double disc collection contains 33 of those songs, what percentage of their material is here? (too make things easier, let's add one song, the live song that was never released in a studio format, Seven Bridges Road). So what we have here is literally half of what this band ever recorded. So, to state it again, this "best of" package includes 50% of everything they ever recorded as a group. Not a bad bang for your buck when buying a 2 disc package. They don't cut any corners either. Every song from their two previous greatest hits albums is included here. Also included are some minor hits, some songs that are fan favorites, one song never on an album that received significant airplay (Please Come Home for Christmas) and even a couple of hits from Hell Freezes Over. Had they just rehashed a package that only included the greatest hits songs from both albums in one package, it still wouldn't have been too bad of a deal. But they've utilized CD technology to pack on so much more. In summary, an awful lot to like with no disappointments. New song Hole in the World is o.k., but nothing magical.